Styling Your Home, For A Snip! I’m back again this week, after Tuesday’s bonus post. If you haven’t checked out my outfit of the day with Deichmann this week already, the full post is here. But, on to today’s homeware based post it is! This week I wanted to show you how easy it is to update your space, at a snip. You don’t have to spend a small fortune to make your home look special, and adding a few quirky bits here and there can really add to a room. Earlier this month I was contacted by Think Money, who challenged me to see what amazing pieces I could find in the end of summer sales- for under £50. You may have seen these items in my latest haul video here. As soon as Think Money set me this challenge- I knew exactly where I wanted to go, and that was straight to Urban Outfitters’ home section. I’d already pinned three of their amazing home pieces, and seeing as they’d hit the sale- I couldn’t resist picking them up as part of the challenge. If you keep your eye on the things you really want, but think are a little out of your price range initially, you can get really lucky in the sales- as you know exactly what you’re looking for. I love using my Pinterest ‘Wishlist’ for hoarding all my favourite high street pieces, and wait patiently until they go down to the price I want to pay for them. 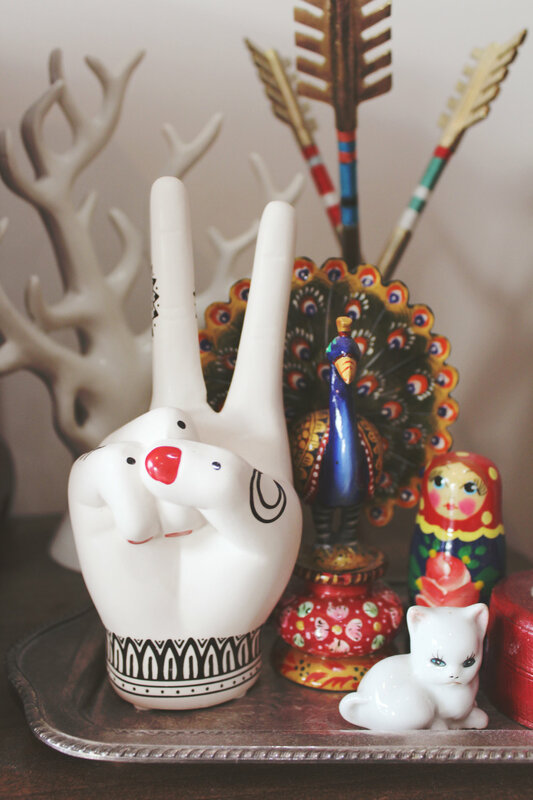 As most of our furniture is Ikea, I love collecting weird and wonderful pieces, like this tattooed hand ornament- just to add something a little different into my home, so it doesn’t feel too much like the catalogue. This tattooed hand caught my eye as soon as it hit stores, but at £15 I didn’t want to splurge on it. Finally though it hit the sale for £4, so I snapped it up. 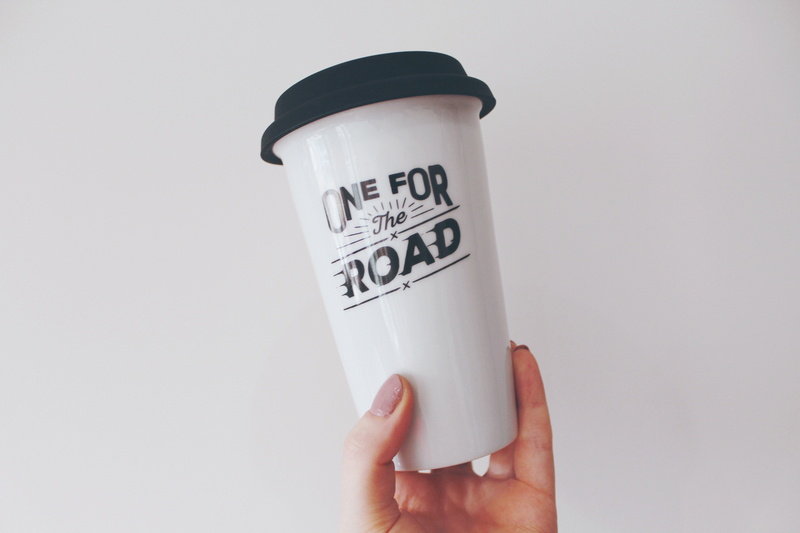 Secondly I spotted the travel mug- I just love the typography on it, and I find travel mugs so convenient for the commuting life! I even drink out of these at home, as they keep your drinks warm for way longer than a traditional mug- plus they fit in way more tea! This travel mug was again supposed to be £15, but I bagged it for £5! 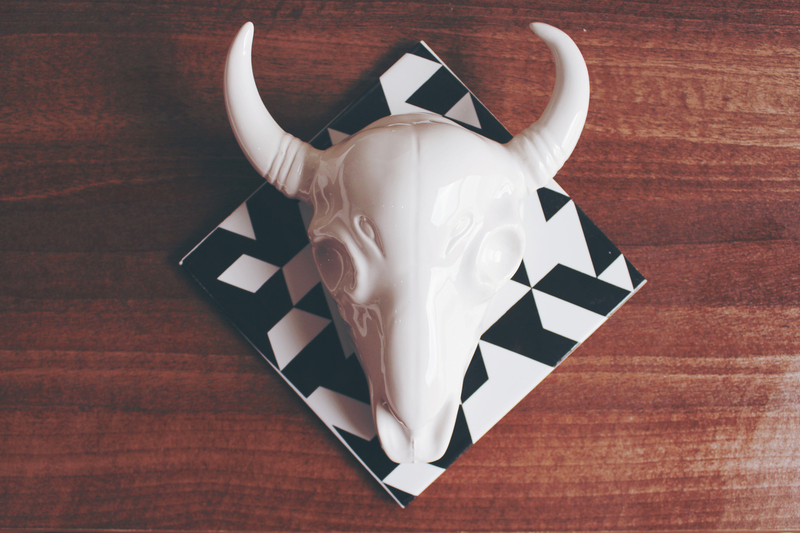 Finally my last purchase was the bison skull. Again at £15 this was on the more expensive side, but I didn’t think £6 was a bad price at more than 50% off- so as with the others it now sits proudly on my dresser!